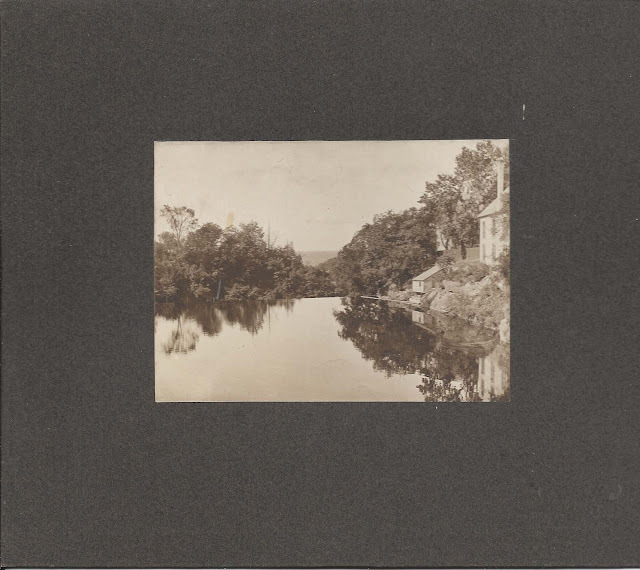 Lovely vintage photograph of a peaceful scene identified on reverse as "The Poestenkill, Troy, N.Y., looking West from the stone bridge". 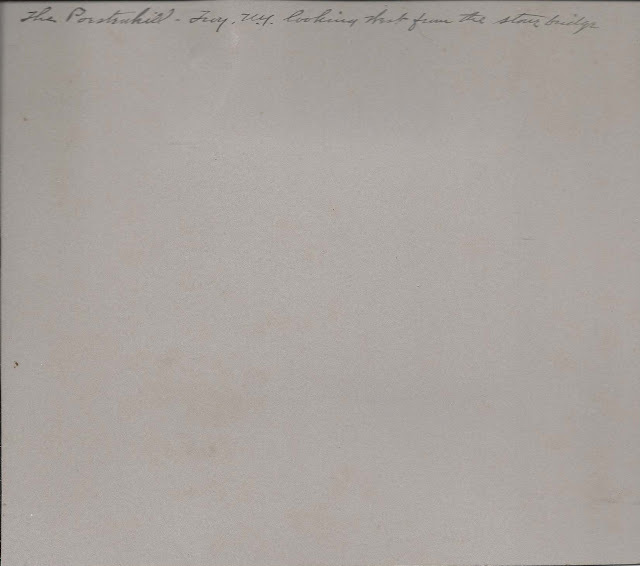 The photograph itself is about 4-5/8" x 3-1/2". With the mat, the entire piece is about 8-5/8" x 7-3/8". There's no photographer's name or marking; perhaps someone might recognize the handwriting, with its distinctive "e". 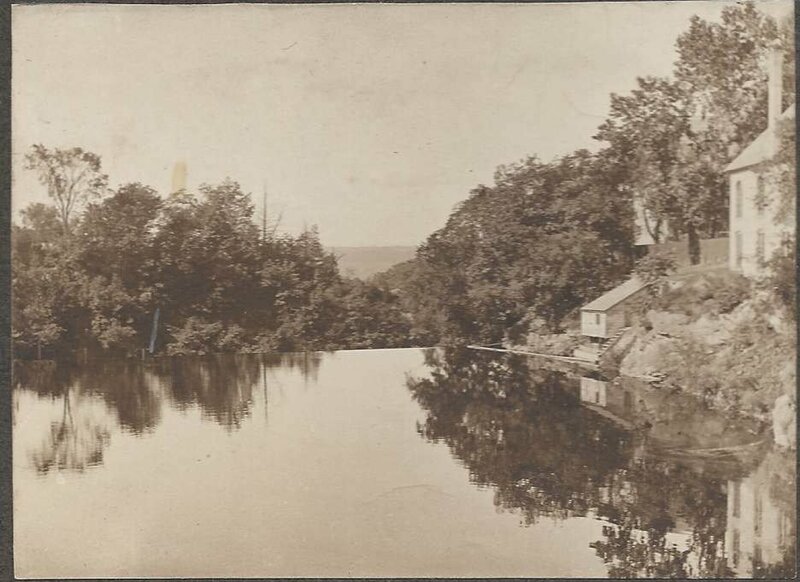 The Poesten Kill follows a course of 26.2 miles from the man-made Dyken Pond in the Petersburg Mountains at Berlin, New York to the Hudson River at Troy, New York. See the beautiful Poestenkill Falls here.